In this edition of The Buckeye SloopCast, Jared and Kyle take a look at the Ohio State depth chart following spring football. Where do the two of them stand on the quarterback situation? Are SloopCast alliances being blurred? How can Demario McCall really be the No. 3 H-back when he looked as good as he did in the Spring Game? Will Jeremy Ruckert get involved in the tight end battle this summer? Who will rotate in the defensive line? Can Shaun Wade get into the cornerback rotation? All of this and much, much more. We talk QB Battle… has someone switched to team Burrow? Weber or Dobbins? Does it matter? 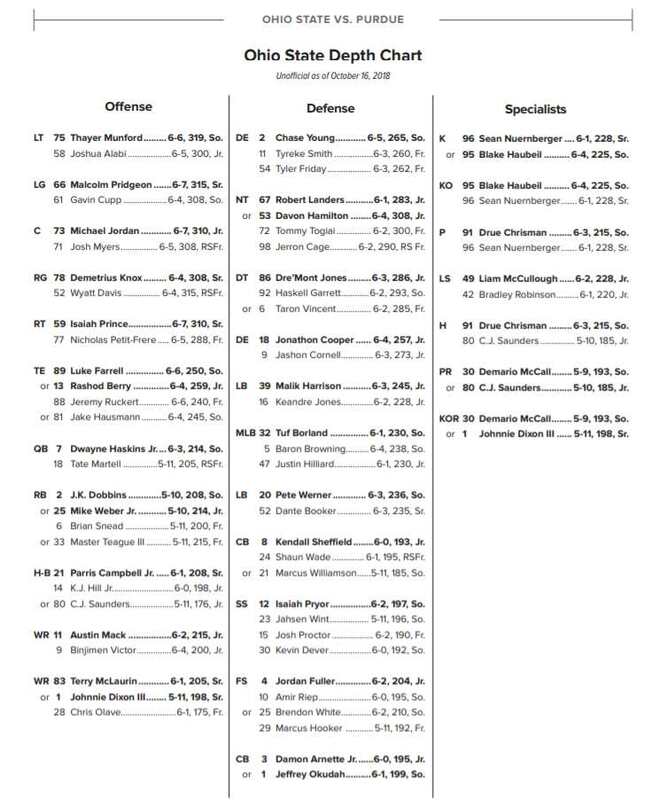 Is McCall really the 3rd H-back on the depth chart? Mack or Victor… Campbell or Dixon? Urban told us who’s starting at TE… Will Ruckert disrupt the depth chart? Where is the biggest surprise in the depth chart after spring camp? Are the offensive line starters now set? Can Shaun Wade turn the 3-man CB rotation into a 4-man rotation? Is Nick Mangold a Hall of Famer?